We’ve had a bit of a cold snap here, with lows dipping into the high 20s for the first time this fall. That makes for a lovely excuse to break out a bottle of Xocoveza, a winter-spiced mocha stout from Stone. Being based in San Diego, I’m not sure what Stone actually knows about winter, but they sure do know their way around a winter brew. This particularly recipe includes cocoa, coffee, peppers, vanilla, cinnamon and nutmeg. 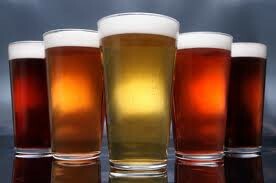 Mix all that up in a beer, and what comes out is liquid deliciousness. The cinnamon, nutmeg, and cocoa are strongly present in the nose. The head is creamy and hangs around for quite awhile. The middle is pure mocha, milky with notes of chocolate and coffee throughout. The peppers are very understated and there is just a tiny hint of a spicy bit in the finish, muted by vanilla. The body is medium and the alcohol is a relatively strong 8.1% ABV. A fabulously flavorful and wonderfully executed beer that might be my new point of reference for a winter stout. This entry was posted in Reviews and tagged Ale, Califonia, Chocolate Beer, Stone, Stout, Winter, Winter Seasonal on November 22, 2016 by Xander. 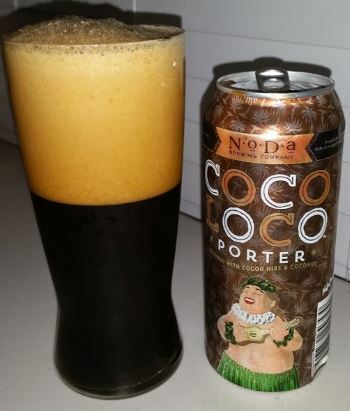 Coco Loco Porter is NoDa Brewing’s latest offering in a can. It’s pours with a generous head and a dark brown hue as befits a porter. It’s brewed with cocoa nibs and coconut, and both the cocoa and the coconut are present in the nose, with lovely warm cocoa in front and faint coconut in the background. The middle is velvety and chocolaty, without being sweet. A hint of sweetness does come out in the finish with some toasty malt to remind you this is a porter. It has a medium weight body, and a nice 6.2% alcohol level. It’s an excellent porter that relies on the chocolate for flavor without undue sweetness. One of my new favorite porters, I’d say. This entry was posted in Reviews and tagged Chocolate Beer, NoDa, NoDa Brewing, North Carolina, Porter on December 2, 2014 by Xander.